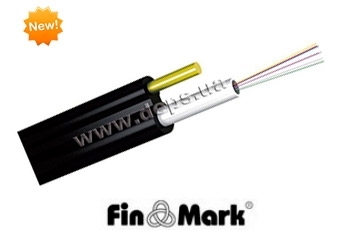 FinMark UTxxx-SM-88 - dielectric self-supporting optical cable type "8" with a single optical module with up to 12 fibers is on sale now. Outer jacket is made of UV stabilized high density polyethylene. Bearing strength element is made of 2 mm reinforced fiberglass , which provides small weight and the absence of any electrical interference and enough resistance to tensile forces.